Tuesday, Jan. 29, 6-9 p.m.
Three Keys Room, The Ace Hotel, 600 Carondelet St. The event sponsored by Garden District Book Shop includes with DJ music, a reading by the author, and interview between the book’s author and editor, and a book-signing. Food and beverages will be served. 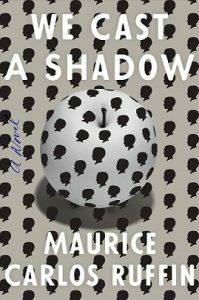 “We Cast a Shadow” is set in a near-future Southern city plagued by fenced-in ghettos and police violence, where more and more residents are turning to an experimental medical procedure, demelanization. 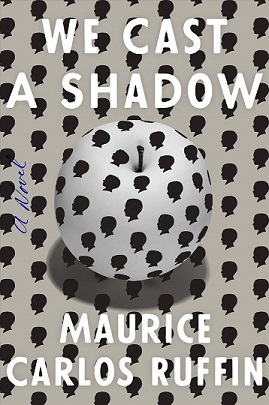 Maurice Carlos Ruffin, a New Orleans native, has been a recipient of an Iowa Review Award in fiction and a winner of the William Faulkner–William Wisdom Creative Writing Competition for Novel-in-Progress. He is a graduate of the University of New Orleans Creative Writing Workshop and a member of the Peauxdunque Writers Alliance. Tuesday, Jan. 29, 6 p.m. In her debut book of poetry, Moore engages the Jewish literary tradition of midrash by bringing her life, both outer and inner, right up against the ancient text. Moore was born in Shreveport, lives in Harvey and works in New Orleans as a computer analyst. Her love of literature led her to writing poetry and science fiction, which has been published in periodicals ranging from Bridges to Asimov’s Science Fiction. 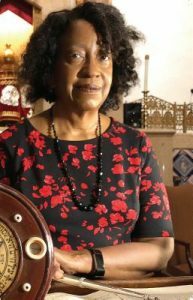 She has sharpened her skills in George Alec Effinger’s University of New Orleans workshop and then in NOMMO Literary Society, led by the New Orleans writer and activist Kalamu ya Salaam.